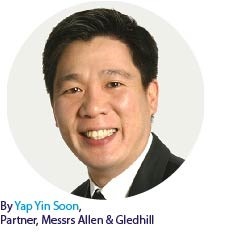 The Shipowners’ Club > LCC > Yap Yin Soon: “Subject to review” clauses – Is there an intention to be immediately bound? A recent case in Singapore proved that Members contracting in the jurisdiction should be wary of “subject to review” clauses. Such wording is frequently used in fixture proposals to indicate that the parties have not yet agreed to an enforceable contract. However, the recent case of Toptip v Mercuria highlights that the mere use of such phrases may not be sufficient to avoid the contract coming into force. In ascertaining the intention of parties, the Singapore Courts will consider the wider factual context, such as the conduct of and correspondence between the parties. They may determine that a binding contract exists even in the face of terminology to the contrary; substance takes precedence over form. Toptip Holdings Pte Ltd (‘Toptip’) is a Singaporean company trading in iron ore. Mercuria Energy Trading Pte Ltd (‘Mercuria’) is a Singaporean company engaged in chartering out vessels to carry dry cargo. On 10 October 2014, Toptip sold a cargo or iron ore to a customer and wished to charter a ship to deliver it. They used a broker (‘Mr Shu’), to arrange a charter with Mercuria. On 13 October 2014, Toptip (through Mr Shu) sent an enquiry setting out its requirements. The enquiry suggested the charterparty be based on a common proforma wording in use in the trade. The following day, Mercuria responded that “Mercuria would like to offer firm bss following terms …” (the ‘Bid’). This language was agreed to mean an offer of terms on a ‘firm basis’. The Bid essentially mirrored the terms of the enquiry but stated: “OTHERWISE SUB REVIEW OF CHTRS PFMA CP WITH LOGICAL AMENDMENT”. This was accepted to mean subject to review of charterers proforma charterparty, with logical amendments. Toptip replied through their broker “We confirm the acceptance of your offer.” On 24 October 2014 Toptip sent a draft copy of their standard charterparty wording, with amendments to reflect the Bid terms, to Mercuria. Five days later Mercuria replied to stating that “Owrs cannot accept chtrs cp after review, so subject failed on cp review”. A key issue before the Court was whether a binding contract already existed, such that Mercuria could be found to be in repudiatory breach of the same by failing to proceed with the charterparty. The terms of the Bid were clear and certain and included all the essential matters required to form a workable charter contract. Mercuria offered terms on a ‘[firm basis]’. The court felt that, when objectively ascertained, this constituted an ‘offer’. The experienced broker had no hesitation in reading the Bid as an offer and Toptip, upon receiving it, replied “we confirm the acceptance of your offer”. The background facts did not indicate that Mercuria had any reservations in relation to the terms of the c/p. Mercuria’s conduct after the Bid was accepted indicated that they considered a binding contract existed: (i) it nominated the carrying vessel and provided cargo documentation; (ii) it requested the laycan be pushed back; (iii) when the cargo buyer suggested rejecting the vessel, Mercuria worked to convince them not to; and (iv) there was no urgency on Mercuria’s part to finalise the c/p details, which displayed an apparent indifference to the specific c/p terms. The words “OTHERWISE SUB REVIEW OF CHTRS PFMA CP WITH LOGICAL AMENDMENT” were held to mean that Mercuria was entitled to review the proposed proforma charterparty only to confirm that it had been amended in line with the Bid terms. They were not entitled to review the c/p terms subjectively, to decide if they would accept them. The court denied that the “subject review” wording amounted to a condition precedent, and instead found it to be a condition subsequent. This meant that the contract came into existence on acceptance of the bid, but if the necessary amendments were not made to the c/p when provided the contract could be brought to an end. Ultimately, each case will turn on its own facts, and this judgment will be seen by many as quite fact dependent. Nevertheless, it serves as a reminder that if Members do not wish to be immediately bound in their Singapore-based c/p negotiations, they should incorporate specific language to this effect in any correspondence. Furthermore, all their conduct and correspondence should be clear and consistent with the position that no binding contract exists.